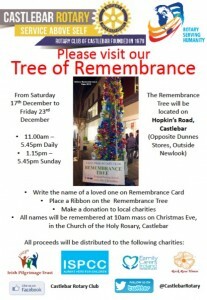 THE Annual Tree of Remembrance will be located on Hopkin’s Road, (opposite Dunnes Stores), from 17th to 23rd Dec. You are invited to write the name of a loved one on Remembrance Card. 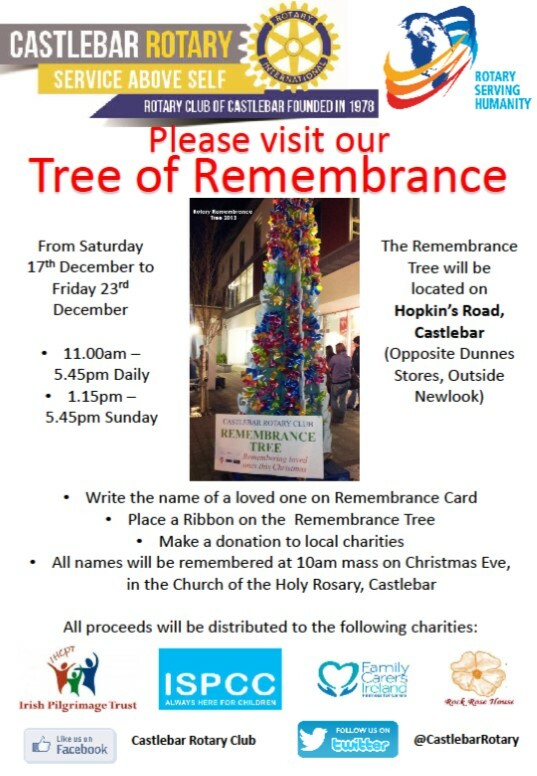 The ribbon is placed on the Remembrance Tree. All will be remembered at 10am Mass on Christmas Eve, in the Church of the Holy Rosary, Castlebar.